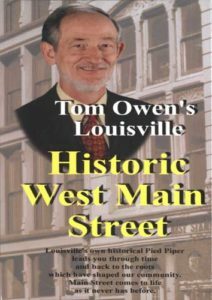 Tom Owen, Louisville’s favorite historian, has walked groups of people all over Louisville, and now he’s taking viewers back in time to just after World War II with “Life in the Old Neighborhood,” a Louisville Documentary. That war and its aftermath unleashed forces that permanently altered “life in the old neighborhood,” relegating what was once a colorful way of doing community to distant memory. Within a few short decades, the front porch, corner grocery and tavern, sidewalks filled with both residents and visitors, and much more, were gone forever. Tom Owen scratches his head in wonder at how quickly we’ve forgotten such things as “radio days,” the defense against polio, “skinny dippin’” at the downtown “Y,” and the neighborhood picture show. 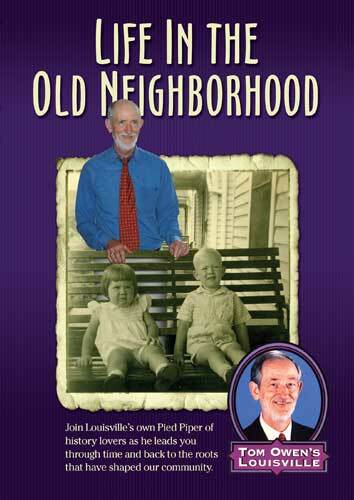 For years, appreciative audiences at Owen’s “Life in the Old Neighborhood” talk have asked him to capture his delightful tales on video. At last, that story of a different time has been captured on this DVD. 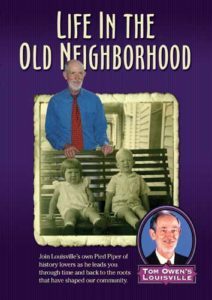 Lavishly illustrated with historic images, Life in the Old Neighborhood will bring back wonderful memories for you and preserve them for generations to come!